Psssst let me tell you a scandalous secret. 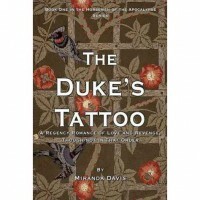 (In case you haven’t read the book)- The Dukes Tattoo is below the belt and in a very um, “manly” area! When we start this book we find Jeremy Maubrey the Tenth Duke of Ainsworth is just waking up, with a terrible hangover, little memory of the previous night and most disturbingly his private parts have been shaven and tattooed. The master mind behind this humiliating plot is Miss Prudence Haversham and her motive is revenge. 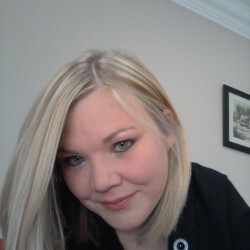 But little does she know that she has not exacted her vengeance on the man who ruined her 10 years ago, because he is dead. Instead she has drugged and accosted his brother who is completely innocent as well as a famous war hero!I have read literally thousands of Historical Romances and this has got to be one of the most original plots I have ever read. How refreshing. I also loved the writing style. It was intelligent and witty with a touch of eccentricity that really appealed to me.Yes this book did fall into the romance cliché of bad communication causing most of the couples problems, but that is a pretty standard tool in these historical romances and I am willing to over look it. This was a fun romantic and original book and I will definitely be on the look out for the next instalment in the series.P.S. I’m not going to tell you what the Duke’s tattoos is of, you will just have to read the book and find out for yourself! But it's pretty funny!